WordPress directory theme is the smart way to implement online business and make some extra cash online. 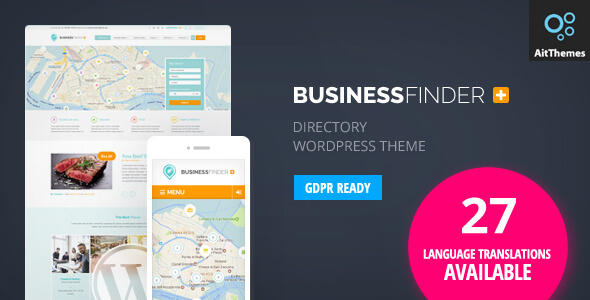 For instance, this time we have collected the best and amazing collection of WordPress directory themes that will suitable for making job board, real state, dealer websites, business, services and more. The great thing of directory websites are online classified ads, GEO location integration and find the item or services in nearest locations. Before beginning our article, I must say there the huge number of WordPress directory theme available in the market for free and premium. But when you consider downloading a free directory theme that will affect your business rapidly. So when choosing a right please make sure find the best directory themes which suitable for your business. We have done an analysis of best WordPress directory themes by considering all the essential and recommendation of directory websites. Additionally, these complete theme selection will provide all the necessary features and functionality which each directory websites should include. Such as Location search, Google map, Ajax live search, custom post, widget areas and more to make your website more useful among visitors. As well as all themes which listed bellows are completely editable and customizable as your requirement without any coding knowledge. Eventually, you will find the best theme from this list to build your stunning directory website that will meet your business requirements as soon. Lisner is a unique listing WordPress theme that offers modern features and functionality. It provides an easy way to submit your listing under minimal requirement with simple front end submission. It has everything that you create awesome feature directories WordPress websites such as the label, reviews, region, geolocation and more. Likewise it has a features allows to make a booking with customer dashboard, it’s pretty awesome features from this stunning theme. From this theme, you manage deals and coupon codes that let your customer have a discount on each listing with print, affiliate or codes. Creative admin options panel that’s provides additional features such as control listing visibility, and force your customer to sign up to see the available listing. Another great feature of a theme is bookmarked the listing for later use. A built-in feature that will let your customers create events on their listing. Visual composer integrate to create more page by drag and drop without write single line of code. WooCommerce integrated directory WordPress theme with more than 75 online payment method for the customer. So customer can pay online hassle free. A clean and very simple directory WordPress theme with fully recommended feature lists. The great thing of this theme Is once you click listing and go back, the explore page will remember you last activities in the browser so it is reset the page again. Very simply import sample content to your website under one minute there you will be ready and go. Since it is a directory website theme, you can also integrate WooCommerce plugin to start your online shop page to make extra cash online. 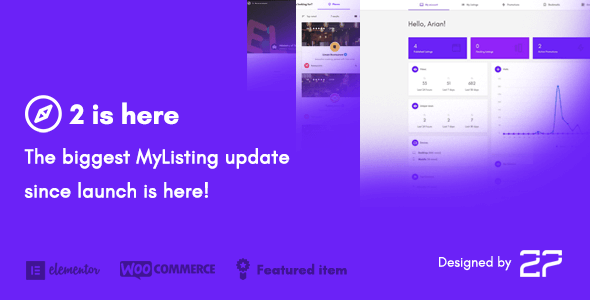 As well as the theme also has the feature to add the paid listing that will easily add to your site without any further plugins. Eventually, you can change your paid listing package at any time. This also really applicable for real state, city directory and car sale directory. Greatly support for Elementor page builder, which is one of the best and super easy ways to make your stunning webs pages just drag and drop features. Multipurpose directory WordPress theme with an absolutely unique feature list. It has nicely created admin theme options panel with the bunch of filtering options. Also, this theme has the front end listing submission with having to visit admin and or user dashboard. Two different types of unique home page design that you apply with easy layout and navigation to increase the usability of your website instantly. Perfectly optimize with mobile devices and friendly display and revolution that easy to swipe and browse listings. User-friendly admin dashboard with the drag and drop page builder without any coding knowledge as easy to edit and customize the entire theme effectively. Unlimited layouts and design with the unique header and footer styles that accurately display the widgets and short-codes nicely. It also uses Ajax technology to improve the performance and speed of the website, specifically added advanced search filter option to filter out listing details with geolocation map. Multiple payment gateway support to withdraw to cash such as PayPal, Skrill, money bookers and band transfer. Using Wilcity WordPress theme setup you’re listing website under minimum requirement with advanced and cool features. 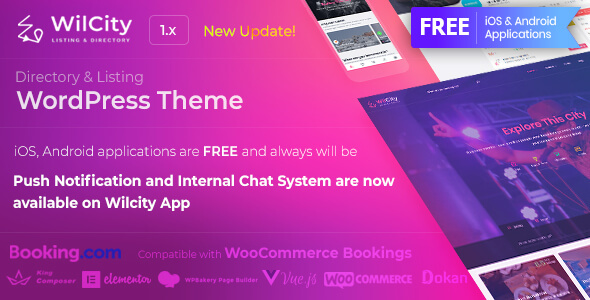 It’s compatible with most popular WordPress page builder such as WPBakery page builder and Elementor page builder to make awesome looking pages with drag and drop features. The best features of the theme support for Dokan multi-vendor WordPress plugin for front-end user dashboard, that’s really super easy way to submit listing from front-end dashboard and beautifully maintain and manage you’re listing. With new version wilcilty, you can create unlimited directory types to your site and easily customize your listing such as edit name, slug, color and directory icons. Turn on and off review and rating features that allow your visitors to rate your listing with percentage and star rating. This theme also providing a variety of ways to make some income online such as paid listing, promoted listing and paid claim listing, meanwhile transfer your payment to PayPal, stripe and bank account. Variety of listing directory types with carefully design layouts and navigation’s that suitable for making classic and rentals WordPress website. Allows your visitors to search the place by nearest location by implementing pre-built geolocation map to improve search ability, it uses caching method to geo-location search result that can improve the search result as well page loading time. Edit and customize the home and custom page with WordPress drag and drop editor, nowadays which is one best page builder technique by WordPress. 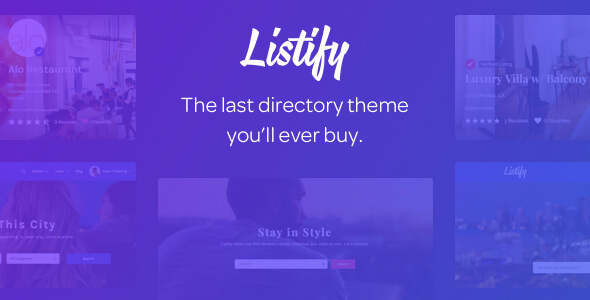 Listify also provides the number of ways to make some online money by claim listing, submit listing, subscription, advertisements and much more. Support for WooCommerce plugin as well to start your shop page on your directory website. However listing also very suitable for real state, a car site, rating & review site, and travel website. Best and clean directory WordPress theme that helps you to make awesome WordPress directory website with massive functionalities. Nicely created admin theme options panel to manage and monetize your directory website with the easy manner. Five different and unique homepage design with stunning colors and typography that your visitors will be love to visit often. 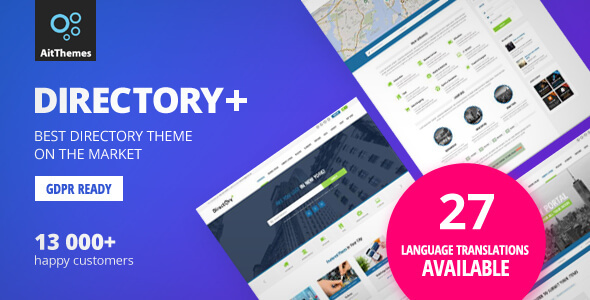 Additionally, Findgo also offer WPBakery page builder to create your eye-catching homepage and custom pages to add further looks to your pages just simply with drag and drop features without any coding knowledge. 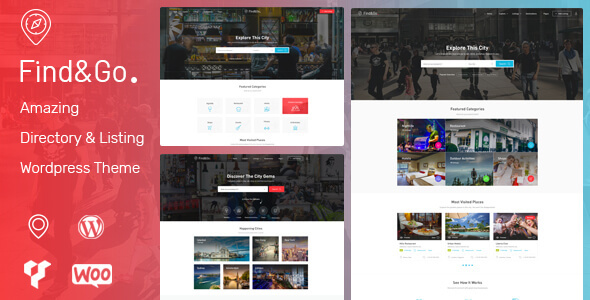 Seven types of listing pages that you can showcase your latest listing and portfolio galleries to categorized listing such as nightlife, restaurant, hotels, fitness, events, shops and much more. Highly optimized with mobile and 100% mobile responsive with beautiful layouts, display, and revolutions. 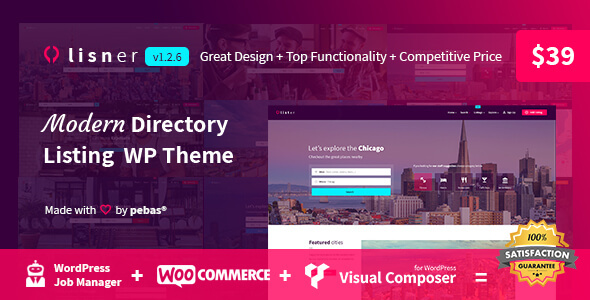 Moreover, its support for Wp Job manager, WooCommerce, MailChimp contact form 7 and WordPress social plugins to increase your directory website functionalities. Greatly support for WPML multilingual plugin translate your website to different languages. And allows your visitors to rate and review your listing simply enabling it. Elegant WordPress theme for build creative classified and directory WordPress website. It has beautiful pre-built features and customizable layouts, all the layouts are thoroughly tested and 100% mobile responsive that can access from any kind devices, additionally optimized content to accurately show the listing on all devices with color, display, and resolutions. The 3d map location provides best and unique search result by nearest location, and multiple video header available to increase website usability with 30+ elements and typography. Advanced admin theme options panel available to setup whole website with simple requirements such as listing, pages, items section, top-rated listing, taxonomies and much more. Support with drag and drop page builder to speed up your development process. And manage and create shop page with WooCommerce plugin by integrating them, there you are ready to make passive income online. 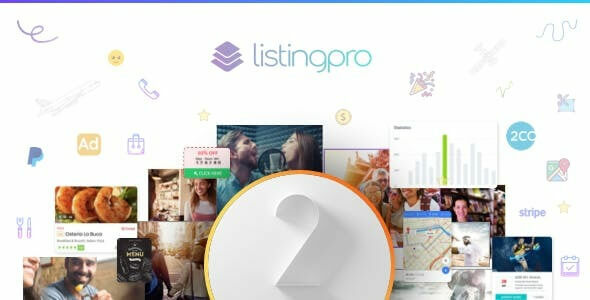 Listing pro is the best solution for directory website. Do you have directory concept in mind and want to startup your own directory website just look at listing pro once. Many businesses owner have tried this and they say that listing pro is the future of directory. It has new pre inbuilt end-to-end directory solution with top pain killer features like Super easy setup, Auto pilot submit, Smart search, Advanced Filter, AD Campaigns, Rating & Review, Online payment and many more..
It’s just perfect like start your online directory website within couple of clicks and no time. It has good review and rating from an existing customer for their excellent support, Design quality, Features Availability & Flexibility.